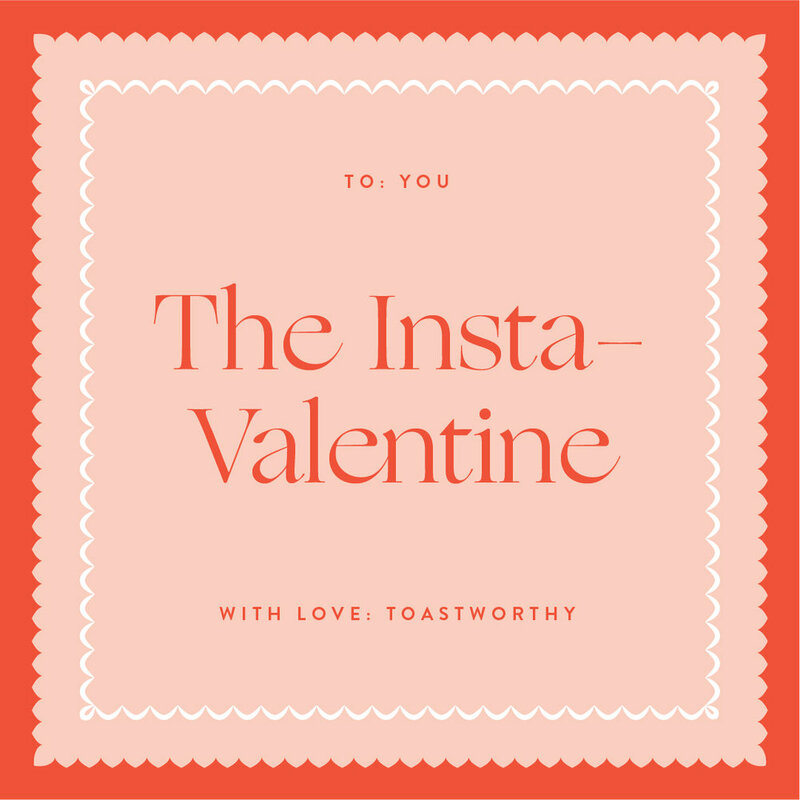 Here’s a valentine for the one you can’t toast without — join us in sharing the love and toasts this holiday! We’re thanking Hallmark Co. & St. Valentine for establishing a holiday where we get to toast to love — we’re very okay with it. And we wanted to help you show your admiration for the ones you cherish with a little twist. Share the valentine by saving the image below to your photo library. Upload to your Instagram Stories, then tag your valentine(s) and write a love note. Post with #toastingtogether and tag @toast.worthy. Follow along on Instagram for a beautiful reminder that love is really all around us. To all the happily-ever-afters, the it’s complicateds, the love triangles, the high school crushes, and the flying solos — we raise our glass to you!